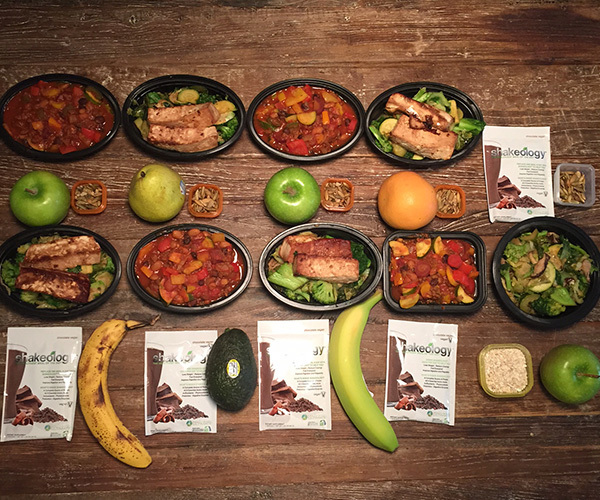 Every weekend, Beachbody’s Digital Content Strategist, Sarah Kuhn, preps her meals for the week. She eats about 1,200 calories each day, following the 21 Day Fix EXTREME meal plan for a vegetarian diet. This week, she stir-fried veggies with tofu and made a large batch of veggie chili. Sarah usually goes out to dinner on Friday nights and likes to leave room for a larger restaurant meal, so she adds a snack of oatmeal and preps a lighter lunch of stir-fried veggies. If you do your meal planning on Sunday, save these ideas as inspiration for next week!